As you might have guessed visitors to our tent at Canterbury Food & Drink Festival last weekend got through about 3,000 pints of #KGHB. You surely love Kent Green Hop Beer! 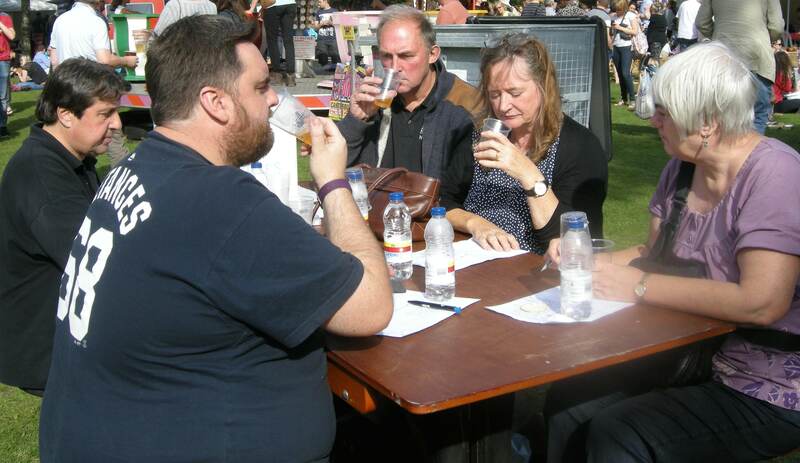 Also at the Festival we held our first beer competition, judged – in a blind tasting so they didn’t know which beer was which – by a dedicated team headed by Gill Keay of the Canterbury, Herne Bay and Whitstable branch of CAMRA. The competition was kindly sponsored by Muntons, with the winner not only receiving the Green Hop Cup but a marvellous pallet of malt for their efforts. 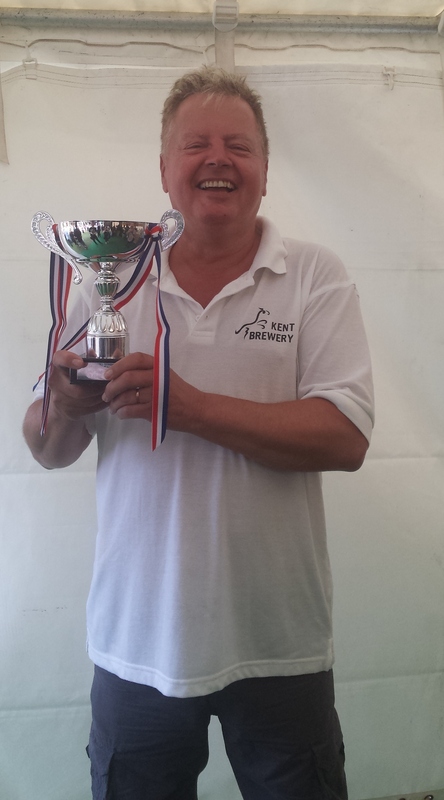 And the winner is… Kent Brewery Green Giant, a 6% IPA packed with East Kent Goldings. Always a favourite with drinkers it clearly wowed the judges too. Kent Green Hop Beer Fortnight now continues at the county’s pubs and clubs. Micropubs especially seem keen to support the Fortnight and we especially thank those who mention @KentGreenHop when they tweet what beers they have on as this enables us to RT and keep you posted of what’s on and where. If you are a licensee who’s serving Kent Green Hop Beer email me a pic of you and one of your pub and we will try and hail you as a #KGHB supporter. This is in lieu of not being able to update our ‘where to drink’ section this year. One Inn the Wood, Orpington is particularly hot on tweeting its Kent Green Hop delights, The Long Pond, Eltham also tweets us now and again and we know The London Tavern, Margate was especially excited about stocking #KGHB this year. (Apologies to anyone I’ve forgotten). Let us know and we’ll do our best to let everyone else know. Coming soon… a preview of West Kent CAMRA‘s beer festival in October featuring lots of Kent Green Hop Beer.